What would Valentine's Day be without chocolate? 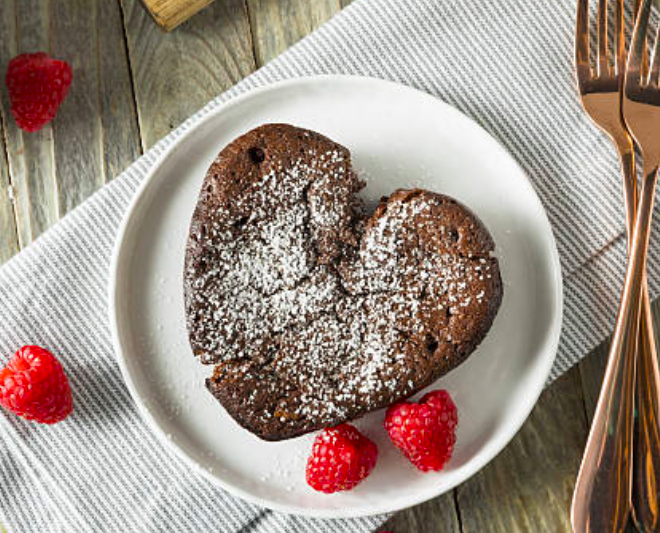 Here at Arbutus Hospitality, we recommended kicking off the most romantic day of the year with delicious fluffy chocolate desserts to present to your sweetheart. After all who doesn't love chocolate. As an award-winning catering firm, we specialise in making your special occasion the one to remember with our delicious treats. We have developed a list of show-stopping desserts that are sure to make your valentines the one remember. Directions: Coat an 8-inch square baking pan with cooking spray and line with parchment paper, leaving a 2-inch overhang on all sides. In a large bowl, mix together the graham cracker crumbs, hazelnuts, cocoa, and salt. Stir in the condensed milk. Place bittersweet chocolate in a medium bowl and set over a pot of barely simmering water until chocolate is melted about 4 minutes. Stir chocolate into graham cracker mixture until combined. Scrape mixture into prepared pan. Cover mixture with a piece of plastic wrap and press firmly into the pan. Chill until firm enough to cut, at least 1 hour. Lift the parchment paper to remove brownies from pan. Cut into 16 small squares. Directions: Measure the ingredients and whisk. Measure the sugar, cocoa and salt in the saucepan you are using to cook the fudge. Add the milk and whisk until blended. Bring the mixture to a boil over a medium-low flame. Stir occasionally with the spatula. While the fudge is cooking, butter a small gratin dish. Fill a glass or jar with ice and water and set next to the stove. Start checking the fudge for doneness after 10 minutes of boiling. It’s ready when the fudge forms a soft, pliable ball when you drop some of the mixtures into the water. If you are using a thermometer, your fudge is ready when it reaches 235 degrees Fahrenheit. When the fudge is done, turn off the heat and gently stir in the vanilla and butter. Remove from the stove and place the pan of fudge in the sink of cold water. Holding the pot steady with one hand, beat the fudge using a wooden spoon until it is fairly cool but still liquid.